Hi folks! Is your house hustling and bustling? Ours is slowly starting to settle down. My work is done for the holidays, and today is the last day of work for my husband… we’re so ready for the big guy to come! Today I have a project to share with you that I actually forgot I made. It is terribly late and pointless to show now but I couldn’t let a good one go to waste, and you know if I forgot this far into December I wouldn’t be remembering for next year. 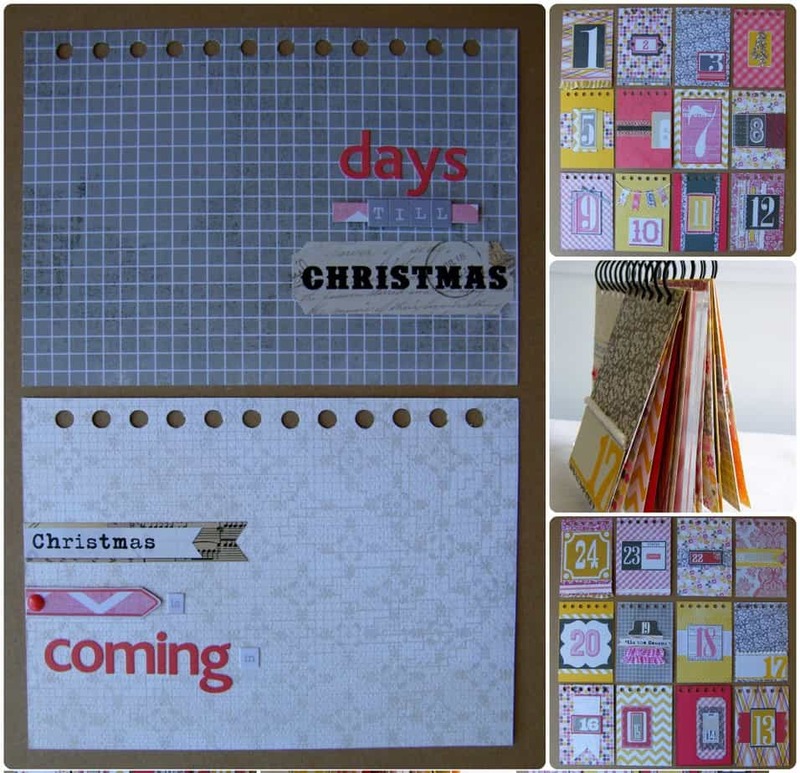 So with only 3 sleeps remaining I share with you my Christmas countdown calendar… 21 days late! Cute eh? And only cost about $3 to make! 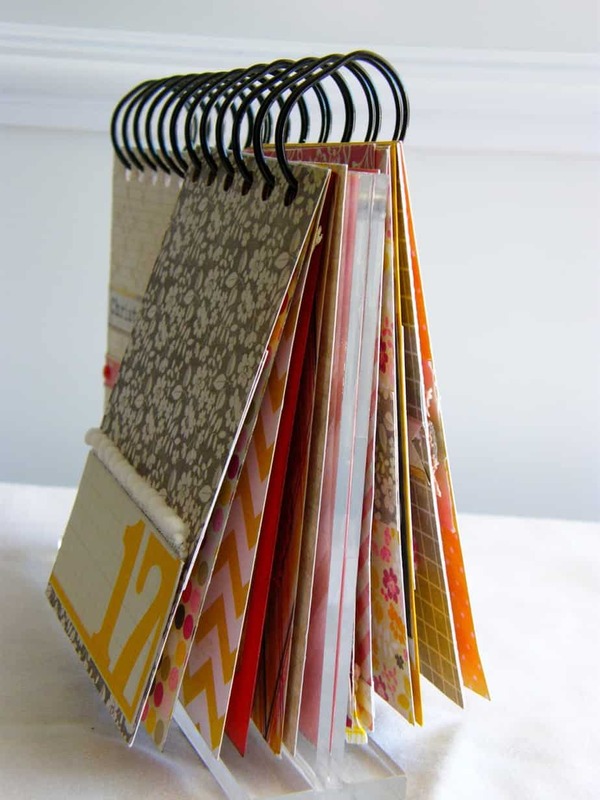 You could actually make one for any holiday or occasion (like a birthday would be fun!) I started with a Dollarstore Plexi picture frame and drilled holes along the top edge to match the coils of my Cinch rings. Then I created 12 pages with a number on each side. One side of the calendar is for the first 12 days then you flip it around for the next 12. I actually stared with 24 separate pages, but as you can see from the side view photo this guy got fat in a hurry. 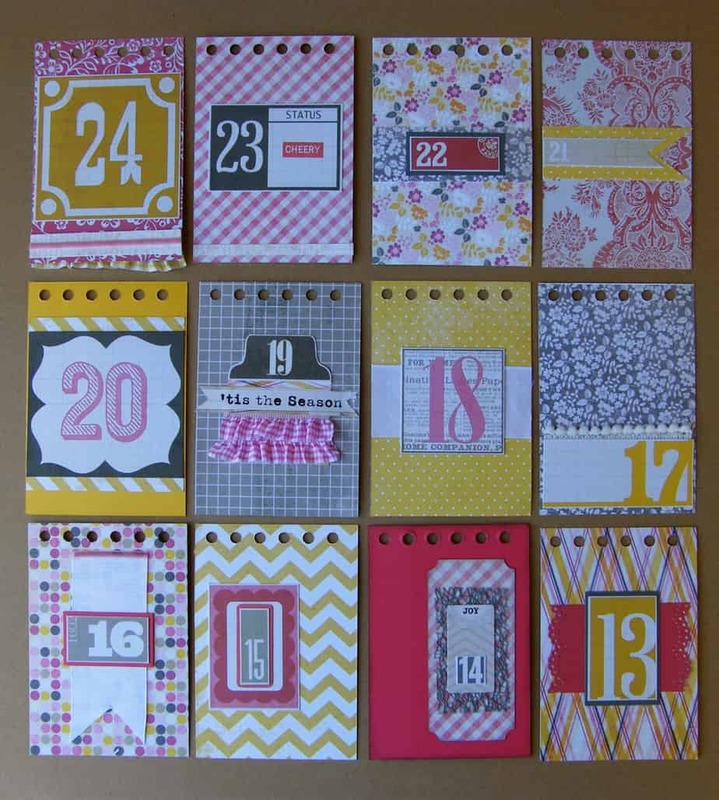 The number page as well as the pretty pattern papers are from My Minds Eye- The Sweetest Thing- Honey Collection. And of course the ribbons that adorn most every page are from May Arts. When the pages are compleet I punched and bound them with my Cinch. 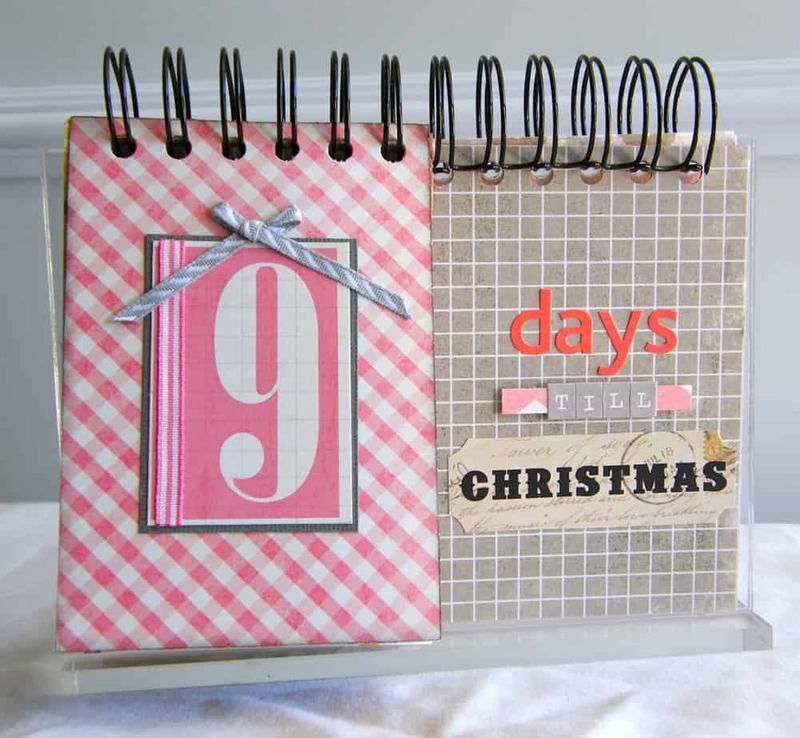 Ta duh- cute countdown calendar! 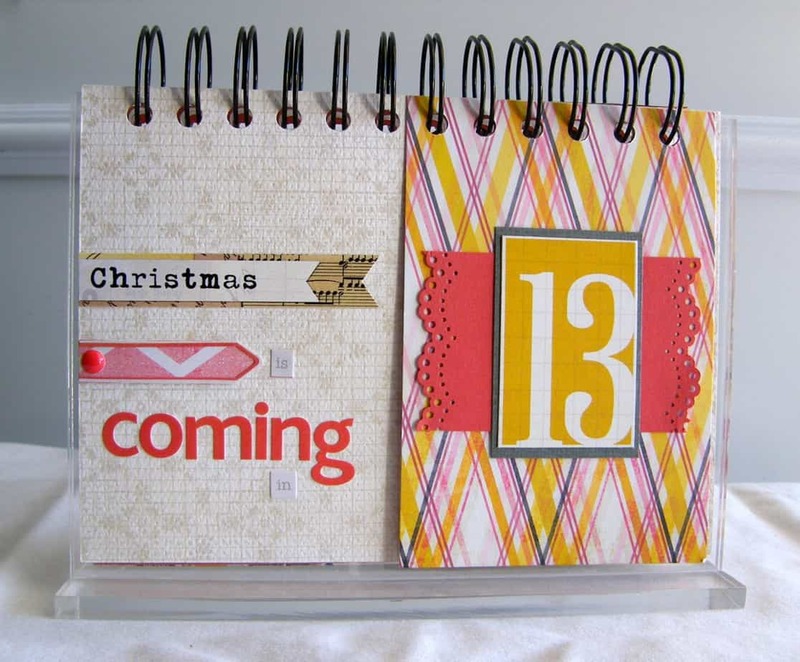 I hope you liked my christmas countdown calendar, perhaps you’ll pin the idea for next year, or since the colors aren’t exactly your typical Christmas colors it might work great for easter also. This is me signing off until after Santa dons your doorstep, I wish each and everyone of you a very Merry Christmas. I should tell you I’m very grateful for all my followers and everyone that has supported me during my blog learning adventure, I hope to only get better in 2013. See you then!